Express your inner resolve with a tattoo meaning strength. A tattoo can symbolize strength in many ways, making this concept suitable for almost any placement and size. Just remember to choose a symbol or concept that creates a personal connection. One of the simplest ways to create a tattoo meaning strength is to choose a word or character which represents strength. The word "strength" itself may seem like an obvious choice. However, the word can be used in several ways, alone or with a symbol or character, to create a piece of body art with a deep meaning. Other words which might be considered for this type of tattoo are "power", "integrity" and "fortitude" - all of these words convey a meaning of strength. Look beyond English for another way to represent "strength" in a tattoo. Languages such as Japanese or Chinese provide an air of mystery. A language connected to your own heritage creates a more personal piece. All foreign-language tattoos hide the meaning from others unless you choose to explain it so be ready to do so frequently. 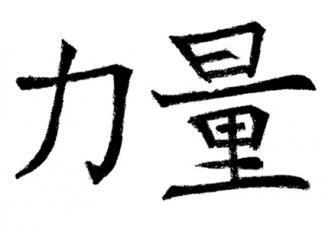 Language is ideal for personal tattoos symbolizing a type of internal or individual strength. If you are looking to use a word to represent strength in your tattoo, don't overlook the power of a font and the messages that they convey. The right font adds additional meaning to a tattoo. Bold fonts add power to the tattoo, giving the word a visual representation of the meaning and making the message clearer to viewers. Some examples of a bold font include the Old English and Gothic fonts. If the message of strength is a quieter kind of power, use more delicate fonts such as Hellenic or Saffron fonts. Often, an image can be used to symbolize strength, with or without words. Imagery used for strength includes animals and objects of power. In many cultures, animals have been used to symbolize strength. Lions are an easily recognizable symbol of strength as a concept; this type of symbol is common to many cultures and faiths, such as Christianity. In Eastern cultures, the lion is joined by both the tiger and the dragon as symbols of strength and dominance. Native American and tribal cultures look to a number of animals as their totems of strength, including the wolf, the eagle and the bear. Animal imagery might include an image of the animal itself, or it can be a symbolic depiction of the animal such as a character, glyph or even a related constellation. Objects that symbolize strength come from many places and cultures. The sword is a common symbol of strength used in tattoos, along with the dagger or other types of weapon. A shield objectifies a more protective type of strength, and is commonly used on tattoos for police and firefighters. The placement of a tattoo is another aspect which lends meaning to your body art. Given that a tattoo meaning strength can be created in almost any shape and size, this type of tattoo is suitable for almost any conceivable placement. Visible placements can be used to convey an outer strength, while inner strength and fortitude is mirrored in more private placements. Placements for a tattoo meaning strength include over the heart or on the muscles of the bicep or calf, which are quite muscular on most sitters. For internal strength, place a smaller tattoo on the ankle, wrist, back, hips or any other private area commonly covered by clothing. Placement depends on whether or not the wearer wants their strength to be symbolized as an outward power and placed in an obvious area, or to represent a personal strength through placement in a subtle area. Select a tattoo based on personal meaning and consider the message you will be sending out with your tattoo. Many symbols used to represent strength have become tattoo clichés; discuss your plans and design with your tattoo artist beforehand to help avoid the pitfalls of selecting an overused concept for your artwork. They can help you plan an original piece of an appropriate size and placement based on your preferences.